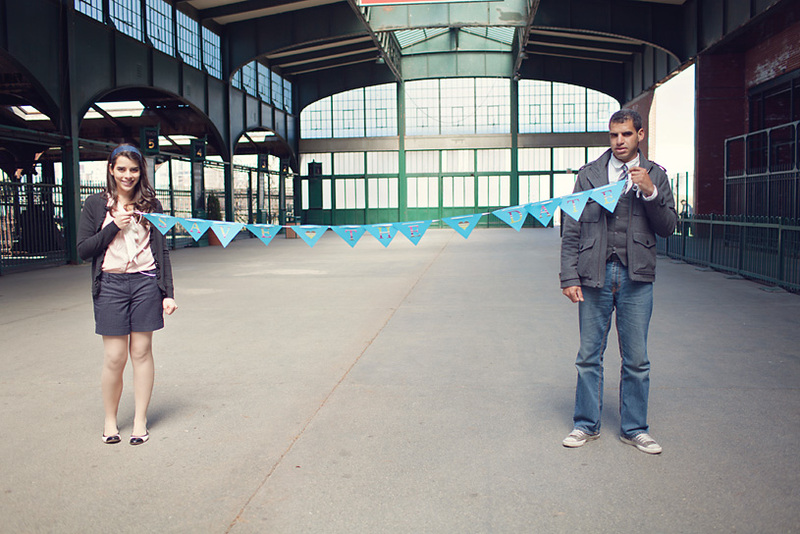 When Gaby came up with our company’s tagline “telling love stories for sweet and happy couples,” she meant it. Through these years, we have been fortunate to capture memories for so many sweet and loving couples, and it just makes me love being a wedding videographer more and more. Julyana and Daniel are the living example of what Gaby meant. They are so nice, and sweet, and they are so much in love. Add to that the fact that they are Brazilians, and really, what’s not to like. Does anybody know a Brazilian that is not nice and fun? Because I don’t. Julyana and Daniel were not so comfortable doing one of our “Love Story Videos” and preferred a “Save the date” video, which was our first, and I have to say that I loved doing it. They are super creative and thought about incorporating some details and memories of their time together. As they opened up the box, I couldn’t help but scream “How romantic is this guy.” We could see all the love letters he sent her, and little details he gave her, like flowers, cards; he even wrote poems. I thought only people from the past did that, but he proved me wrong. No wonder why Julyana fell in love with him. I wish I could be as romantic as Daniel is. We did the whole video at the Liberty state Park in Jersey City, NJ. Great place for shooting. We had nice backgrounds like the New York City skyline and the Statue of Liberty. This is not common, but I had the opportunity to have Gaby assisting me. We used Canon DSLR cameras, slider and Steadicam and only a 35mm lens. I will be capturing Julyana and Daniel’s Wedding video later this year at The Lakeside Manor in Hazlet, NJ, and I can’t wait. NJ Wedding Videographers. Voted Best of the Knot Weddings 2011 and 2012 as NJ wedding videographers, among Top 10 NJ Wedding Videographers, and recipient of Bride’s Choice Awards 2012 and 2011. The Wedding Central is a wedding photography and wedding videography studio owned by Award Winning Wedding Photographer and Wedding Videographer, Gaby and Danny. The studio is located Northern New Jersey and covers weddings in New Jersey and New York City.